do you communicate in modern ways? we do. The D.D. 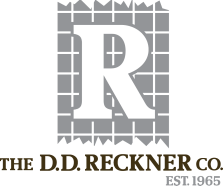 Reckner Company is a gateway to a quality customer database and an instrument for a sustained sales effort that achieves results. We target chefs, buyers, executives, distributors and persons of influence across the country with an extreme focus on the Midwest. Many businesses today are highly ineffective using web based tools. I bet you can think of more than a few companies that fill your inbox with useless spam or reports that do not amount to much substance. We are different. We set rules and we have standard operating procedures so that when a customer receives communication from our organization it is thoughtful and to the point. We want to be the preferred source for your customer's food buying needs. Ask us how we are different. We would love to tell you.